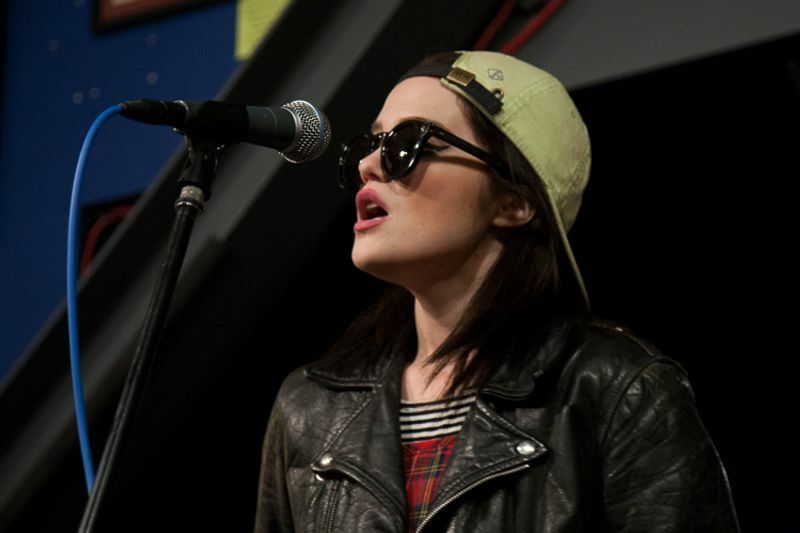 Sky Ferreira’s show at Amoeba Hollywood was one of those great zeitgeisty shows where we knew we were all seeing a huge new star at the height of her hype and acclaim. Ferreira was charming and cool, engaging with the tons of young fans who came out to see her and pulling out a surprise by coming back to the stage to sing her breakthrough song, “Everything Is Embarrassing.” Read my review of the show here. The duo of Lindsey Troy and Julie Edwards pulled out blistering fuzz-rock guitars and caveman stomp with hair-flying abandon at this punchy performance of tunes from their debut record, Sistrionix. Troy and Edwards easily worked the crowd into a froth and left them wanting more.